Clint Greenwood is the owner/founder of Clint Greenwood Soccer Academy (based in Southern CA) and former Professional Soccer Player. His Academy covers the primary technical, tactical, physiological and psychological components that are required to become a high-level soccer player. WHAT PLAYING & COACHING INVOLVEMENT DID YOU HAVE PRIOR TO LAUNCHING THE CLINT GREENWOOD SOCCER ACADEMY? As long as I could remember, I was with a ball at my feet. Being a son of a former professional player who was from Wales, also when he immigrated to the US, a FIFA referee in NASL & ASL, and college coach John Greenwood I was around football my entire upbringing. I could remember going in the dressing room to spend precious time with the likes of Pele, George Best, Rodney Marsh, and others. I grew up playing club soccer for my father’s club Foothill Rangers. At age 12 I was presented with a Ball in a Glass Case for scoring 51 goals in 17 games. The one and only, and my absolute idol George Best presented me with the award at a Youth Soccer Award Ceremony put together by American Youth Soccer Association AYSO. I was selected to the US National Pool at 15. At age 16 spent 3 months playing for the Cardiff City FC YTS team and the reserves. I Signed my 1st professional contract in 1986 at age 17 for the Hollywood Kickers in the Western Soccer Alliance League. Instead of grinding it out in the US playing in the MISL, I chose to go back to the UK. 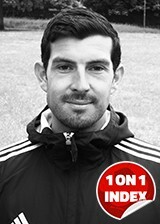 I spent the next 5 years playing for clubs such as Cardiff City, Hereford United, A.F.C. Bournemouth & Swindon Town. I spent the summer of 1989 playing for Calgary Kickers in the Canadian Soccer League CSL and finished my career in the US playing 1 season of indoor for San Diego Sockers of the MISL and LA Valley Eagles from 1993-96 in the USISL. With soccer being my passion and purpose for life, I used my talent of demonstrating high level skills, tricks, and dribbling moves to local club players in Southern California. WHAT INSPIRED YOU TO LAUNCH THE CLINT GREENWOOD SOCCER ACADEMY? As a player I always had a very confident demeanor and didn’t shy away from taking all the responsibility on my shoulders. I grew up loving to watch and learn the skills of the top players of the late 70’s & early 80’s like Best, Pele, Revelinho, Eder, Rumminegge and later Zico, Platini, Maradona, Hoddle and even my former coach at Swindon, Ardiles. Through all my hard work as a young player spending 6 hours a day juggling the ball, playing with older players after my practice was over and I became quite a skillful player. When my career as a player started to come near, I only had one thing missing and that was to capture my childhood days and make a difference in football. I wanted to teach players to play with a mentality of an Entertaining World Class Footballer. The Greenwood Method Mentality is a great player’s mindset. His or her mentality of searching every session for what is required and take responsibility for it to become “Better Today Than Yesterday.” I wanted to produce entertaining football by developing each player’s technical ability to play with a high standard of adaptation and creativity ultimately productively in a team setting. The Greenwood Method is a system of coaching/training soccer player’s physical, technical, psychological and mental components. WHAT COACHING SERVICES DOES THE CLINT GREENWOOD SOCCER ACADEMY PROVIDE? At CGSA we offer the best in Team | Club Training, Club Philosophy Development, 1 on 1 Private Lessons, Daily Soccer Clinics, Seasonal Training Camps, Position Specific Training and CGSA’s Soccerobics. WHAT DO YOU FEEL ARE THE BENEFITS OF 1 ON 1 & SMALL GROUP TRAINING FOR PLAYERS? As a player, I was always willing and able to learn from older and more accomplished players. I was blessed to be around the top players that lived in the Southern California and played in the NASL during the early 1980’s, and later in my early teens trained with MISL clubs San Diego Sockers, and also LA Lazers. WHAT ADVICE WOULD YOU GIVE TO A YOUTH PLAYER LOOKING TO ADVANCE IN THE GAME? To any young upcoming player, I would say you need to have the mindset and personality of a great soccer player and athlete. To look every day at more ways of being a better player today than you were yesterday. It means to surpass your best, to look at yourself in the mirror after every training session or game and see what you could have done to be a better player tomorrow. Eric Friedlander is an American Professional Soccer Player who was most recently playing in Sweden with Nyköpings BIS. Friedlander is a NASM Certified Personal Trainer, as well as an EXOS Performance Specialist and a Precision Nutrition Coach. In the summer of 2017 Friedlander founded his company RicFit, which provides functional fitness training (soccer specific), as well as nutrition and recovery techniques to the "RicFitters." I have played soccer since the age of four. Up until about 16-17, I played for many premier teams in my area that competed in the Regional League before academy soccer started. When I was 17, I made the trip to Faribault, Minnesota to play for Shattuck St. Mary’s USSDA, which is a development academy as well as a boarding school, known for its hockey and soccer. It was one of the best experiences of my life. I lived on campus, trained once or twice a day, and studied at the school. It is a real serious place, with some serious players, who are looking to get to the next level. The school is also very good, and it teaches you how to study, and have discipline in soccer and your studies, which I am sure later translates into discipline in whatever career you go into, whether it’s in soccer or the business world. I honestly wish I had gone there all throughout high school. While at Shattuck I was recruited to play at the University at Buffalo. The summer before pre-season, I came across a program that offered one month to play and prepare for the college season in Germany. I jumped on it, and I absolutely loved it. In Germany, they live and breathe soccer. I was asked by a couple of semi-pro teams to stay and sign, but I couldn’t do it because I was already committed to college. Therefore, I went & played at the University at Buffalo. We played some attractive soccer, I made some great friends (who I still keep in touch with), and enjoyed the experience of being in college. It was one of the best years’ of my life, but it was too much “fun,” if there is such a thing. I wasn’t as focused on my training, as I had once been, as I was going out too much, not getting enough rest, and not eating too well. The summer after my first year, I decided to go back to Germany to train, and possibly test my chances of signing over there once again. It ended up that a couple of clubs’ were interested in signing me. I signed for a semi-pro club, and spent two years in Germany. After that, I made a move to Sweden. A couple of months ago, I just finished up my first season in Sweden, and I am currently on the look for a new team for the 2018 season. WHAT ARE THE MAIN DIFFERENCES WITH PLAYING IN EUROPE COMPARED TO THE U.S.? In the US, the game seems to be more one-dimensional. It is definitely changing, but you can tell that the players in Sweden & Germany have football in their blood. They know how to play the game, and they really just understand the game! It’s incredible, as you can go to a park and play a little bit of pick-up, and some guys’ are so out of shape, but they “outsmart” foreigners, and play better football, because they just know the game. As I talk to people over here, and many friends, they have the stereotype that American players are always very good physically, but they are missing the tactical part and technical part. Europeans see American players as “workhorses,” and they think that many players aren’t too good on the ball, and don’t understand the game, like the Europeans. WHAT ARE THE MAIN DIFFERENCES WITH COACHING METHODS/PHILOSOPHIES IN EUROPE COMPARED TO THE U.S.? In Sweden & Germany, they are very focused on the team, and developing the team as a whole. They focus a lot on the tactics of the team, and how the team works together. There are many separate sessions for tactics only (usually on a rest day). Many coaches try to really change the culture of the team and the club. Also, when you get to the higher level, it is all about the three points on the weekend. The job of the coach is to get wins, and they are not as focused on developing individual players. Coaches’ out here really want to make a name for themselves by embedding their philosophies’ and their culture within the club. It is also stressed that you should play forward as much as possible, and “break lines,” because that is essentially who you break teams down, and get more scoring opportunities, which leads to more goals, and more wins. In terms of fitness training, American soccer players’ are unfortunately placed with fitness coaches’ who are used to training American football, and hockey players. Therefore, soccer players’ are caught up doing exercises that aren’t specific to soccer. We are more focused on the stopwatch and the barbell, rather than the soccer specific movements and the functional movement that is needed to advance physically in the game. Each sport has to specifically tailored to the demands and needs of the game, as every sport is very different. WHAT DOES YOUR ONLINE COACHING PROGRAM PROVIDE? I provide coaching to anybody, but I am trying to focus mainly on niching out to soccer players. I am a soccer player, and I have been on this journey for quite a while, and I don’t plan to stop anytime soon. Though in the meantime, I want to provide players with as much knowledge as possible, and have the ability to train from anywhere, without the use of much equipment, and the ability to train any time of day. As long as the player is willing to put in the work, have patience, persistence and is willing to dedicate their time to the development of themselves, I am willing to work with them, and will give them my everything to get them to the next level. I want to educate them as much as possible, where they will not need me anymore. The greatest thing in the world is freedom, and the ability to be autonomous (create for yourself). That being said, I think it’s essential to be dependent on no one, and do things all on your own. Ultimately, I want to teach my clients’ how to actually TRAIN LIKE A SOCCER PLAYER. I make sure to get specific background information for every player that I work with. I want to make every one of my programs’ as individual as possible, because that’s how it should be. Everyone has a different physiology and psychology, so not everyone should be doing the same thing. The first step I take is to look into their current habits (training, eating, sleeping, recovering) and I craft a plan SPECIFICALLY for them that I think is necessary for them to get to the next level. I send them a program online month-by-month. The plan usually consists of 3 total-body workouts, and 1-2 cardio-based workouts a week. Therefore, they can be training from anywhere between 3-5 times per week. We discuss their training schedule in depth, and I help them format their extra training for the week. One of the most important things that I have learned in Europe is the importance for periodization and the correct periodization. I studied online under Raymond Verheijen, who is a periodization expert, who has worked with top clubs throughout Europe (Barcelona, Chelsea, Manchester City, and Zenit St. Petersburg) as a fitness coach. He explains the concept of “freshness over fitness,” and how fatigue is the number one enemy of any soccer player. In America, we are constantly taught that the harder you work, the better you will become. I learned the hard way, through fatigue, and a lot of pain, that the most important thing is to be FRESH. The most important thing is to be as fresh as possible for every team training that you participate in. The main reason appears to be obvious, but many players don’t take it into account that the fresher you are and the better you perform during the week, the better you will perform on the weekend. Being able to perform on the weekend is what will determine if you will get to the next level. Therefore, I make sure to communicate often with my players about their training schedule, and managing their training load. I want to make sure my players are getting right amount of work in, and they don’t do TOO MUCH. Unfortunately, there is a fine line and a “happy medium,” which is sometimes hard to find. My program focuses foremost on the core, and the mobility of every joint and muscle, and being able to fire the right muscles at the right time. My aim is to improve the quality of movement of the player. When the quality of movement improves, they can become faster, quicker, stronger, and more agile. I also make sure to tune in and dial in their nutrition, so their food is “fueling” them, and helping them recover properly. As for the recovery aspect, I help them with specific techniques to help them recover as quickly as possible, and be as I said before, to make sure they are as fit and fresh as possible for every training and every match. WHAT ARE SOME OF THE MORE COMMON NUTRITIONAL MISTAKES/MISCONCEPTIONS YOU’VE WITNESSED? Many players do not know what to eat, and what foods they should be taking in to fuel their performance, and have them playing at their best. I describe their physique as a Ferrari. We wouldn’t want to put regular gasoline into a Ferrari. We want to put PREMIUM fuel into the Ferrari, so it is operating at its’ best! Without the proper & right amount of fuel, our Ferrari can perform at its best. I constantly see players who eat too little or too much. Most of them are not getting the right amount of nutrients in that they need to have them firing on all cylinders. Many players’ take in calories from the wrong sources, and take in a lot of unnecessary calories that don’t give back. I want to help my players find what works for them, and what they can sustain throughout their career. I am not a believer at all of any type of fad diet. The most important is getting a balance of the proper macro and micronutrients to fuel them. Many players do not know how to build a meal or snack, and they end up with low energy and low quality performance. My job is to help them focus on the right things to put in their body, as well as the proper time to eat. DO YOU HAVE PLANS TO PROVIDE TECHNIQUE-BASED 1 ON 1 SESSIONS IN THE FUTURE? I really enjoy coaching players on the technical aspect of their game, as it is very essential! When I go home for break, I actually coach many players’ individually on the technical aspect of the game. I try to incorporate the techniques I have learned throughout my career, and the past 3 years in Europe. I want to make my players as good and as comfortable on the ball as Europeans. So, when they go on trial at big clubs in Europe, the European coaches won’t even know they’re American. Eventually, I will coach technique online, as I don’t know how long I will be in Europe. I am currently in the process of recording videos of ball work, and what to focus on when training the technical aspect of the game. I want to help as many players as possible in every aspect of the game! I love this game. It has given so much to me, and I want to give back to all of the players who have the desire to play at the next level! Germán Cabrera is the owner/founder of G10 Fitness & Futbol Elite Performance Training based in Sydney, Australia. G10 primarily focuses upon 1 on 1 & small group training. Cabrera played Professionally in his native Argentina, Australia, Spain, Cyprus & India prior to launching G10 in 2013. WHAT PLAYING & COACHING INVOLVEMENT DID YOU HAVE PRIOR TO LAUNCHING G10 FITNESS & FUTBOL? I was born in Buenos Aires, Argentina and migrated to Australia as a kid. I grew up playing in the youth system for Sydney Olympic FC which was a part of the Old Australian Professional league called The NSL (National Soccer League). At 15 years old I was invited to train with ex Spanish La Liga Club Real Mallorca after I sent a video tape of some game footage. I was fortunate enough to have spent 2 months training with their Youth set up. Two years later the Football Federation in Australia decided to dissolve the whole professional league set up and left the country with no Professional League system. Being 17 at the time I had no other option but to follow the rest of the players and drop down a league and play Semi Pro for the time being. It was at this stage I was offered to go trial in Cyrpus. I didn’t have to think twice about and I jetted off and trialed nearly two months with two different 1st division clubs trying to win a First team contract. Things didn’t go my way but an old team mate of mine was playing with Apoel FC in the youth team and I was able to get a trial with them. I ended up signing as like an apprentice with the youth team for 4 months an experience that I will never forget. From that point on I was fortunate enough to have played in a few other different countries like back home in Argentina, Spain & India. However, my career was always thrown a curve ball due to numerous amount of knee injuries. This caused my progression to stall, and took my career back and forth from Professional level to Semi Professional. Prior to launching G10 I was coaching/mentoring local youth players in a 1 on 1 environment on the side while also working for a Spanish Academy that was based in Sydney for a few years. WHAT INSPIRED YOU TO LAUNCH G10 FITNESS & FUTBOL? The inspiration came from my time back in Argentina 2005, when I was recovering from one of my ACL reconstruction surgeries. I was training at EL CEFAR (Training Centre for Argentine Footballers uncontracted) it was big set up at the old Boca Juniors training ground (La Candela) that provided training and friendly games for Pro Footballers that currently had no clubs or recovering from lengthy injuries. Apart from training in a team environment they also placed a lot of emphasis on training in small groups and 1 on 1’s. This gave us players a lot more time on the ball due to the repetition factor and we could focus on certain areas that needed improvement. This really stayed with me and in 2013 on my return from playing 7 months in India I received my master personal trainer’s qualifications and decided to provide coaching for youth & senior players mainly focusing on player development & conditioning work. I felt at the time there was a lot of Academies here in Sydney but no service where you could receive more individual and personalized training. As word started to spread on what I was doing I decided to take a break from playing and focus solely on G10. Fast forward to 2017 and I am coaching over 40 players, worked with Pro Players that are playing in Australia, China, Korea, India and Argentina, and running G10 Fitness from a Corporate Gym facility. WHAT COACHING SERVICES DO G10 FITNESS & FUTBOL PROVIDE? We provide 1 on 1 training and small group training sessions, placing a lot of emphasis on individual player development. We also work with clubs who contract us to do weekly Technical ball work sessions. Unfortunately the majority of clubs don’t get the chance to work on individual Technique and we provide this service for them. I feel like thing that sets us apart from others is the fact we can help players on and off the field. Offering services inside the gym specifically tailored for football players. Unfortunately clubs are not able to work with players in a 1 on 1 situation while coaching a full team. So Football players need the extra training to work on specific things that they are lacking. We personalize our player’s sessions according to what we see they need work with. The other way of looking at it is players get a lot more repetition training in an environment like this and this can really help build a players confidence up. WHAT COACHING/TRAINING METHODS DO YOU UTLIZE FROM YOUR NATIVE ARGENTINA? I place a lot of emphasis on guiding players and strongly encourage them to be creative and explore what works and what doesn’t work for them. This gives players the opportunity to discover, create and innovative with their play. I am a firm believer that Players who have a high standard of technical ability are the ones who stay composed while under pressure. Combine all this with motor skills and you will have created a strong football foundation. WHAT NEXT FOR G10 FITNESS & FUTBOL? Take G10 on tour and have the opportunity to train players in different parts of the world. If all goes to plan I will be doing a coaching tour in 2018 in Argentina and a few states in the USA. Work with more players and have more Pro players on our books. On an individual note I want to continue developing as a coach, and maintain the same humility, drive and passion that has gotten me to where I am today with G10. Which private coaches have you worked with? STRKR FC plus Phil Tait, Kieran Laverty & Jannice Sundqvist all from Phil Tait Soccer 1 on 1. What impact have 1 on 1 sessions had on your game? The 1 on 1 sessions have helped me improve my awareness, my ability to create space when I'm away from the ball, shot accuracy, speed, turns & passing. Overall, the sessions have given me more confidence I'm able to apply during matchplay. How often do you practice in your own time? I try to get touches in everyday. If I'm not practicing with my 1 on 1 coaches or with my team, I'm always dribbling, juggling or shooting on targets. Which club teams have you played on? GPS - FC Bayern Munich North American affiliate. Which Pro players inspire you? What are your future playing ambitions? My future aspiration is to play as a forward in the Premier League. I also want to play for the U.S. national team, with a goal of helping the U.S. get to the World Cup. I have worked with Alfredo Sainz at Sainz Futbol Academy since I was 7 years old. He not only trains me, but is like a big brother to me and we have a great relationship and partnership. The work Alfredo and I have done together over the years has played a huge factor in my skill level and style of play. Over the last year when I’ve had a chance I have also worked with David Copeland-Smith at Beast Mode who does great work as well as Esteban Chavez from SoCal Academy who is awesome. They have all helped me in different ways and I’m so grateful for their support. They have helped my comfort on the ball and my overall confidence in my skills and ability. Which club teams have you played with? I played for SoCal Blues when I was young and played USSDA with the boys last year at Total Futbol Academy. This year with the initiation of the Girls DA I have signed to play at Beach FC USSDA. How has playing with and against boys benefited your game? Playing against boys has helped my speed of play and strength of play. My favorite players are Messi and Neymar. I love the way they impact the game with the dribble and their ability to attack and create offense for their team. I want to prove that that style of play isn’t specific to male players, I want to play with the confidence and flair of those players. Well, I want to be a professional and I would love the opportunity to wear the Red, White and Blue someday. The reality is I want to be the best and I will work to be the best that I’m capable of becoming. 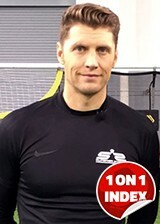 Lee Robinson is an English Professional Goalkeeper who is co-founder of The Modern Day Goalkeeper (@themoderndaygk on Instagram). Robinson has had 2 separate spells with Rangers as well as winning the Scottish Challenge Cup twice, the Scottish Second Division and earning a place in the PFA Scotland Team of the Year. WHAT’S YOUR PROFESSIONAL PLAYING EXPERIENCE TO DATE? I started my career at Glasgow Rangers in 2003 aged 17. I was there for 6 years although I had 2 loan spells with Greenock Morton and Queen of the South in the Scottish Championship also. I made my debut for Rangers aged 19 in a home game at Ibrox vs. Hearts. I left Rangers in 2009 and joined Kilmarnock but only played one game for them vs. Hibernian and I was awarded man of the match! I left Kilmarnock in 2010 and joined Queen of the South for a 2nd time playing 10 games before taking a break from the game for 6 months. I then rejoined Queen of the South in July 2011 and stayed for 2 years winning the League and Cup Double in 2012/2013. I then went to Sweden to play for OFK Ostersund short-term before joining Raith Rovers in 2014, winning the Challenge Cup vs. Rangers (again being named man of the match! ). I rejoined Rangers for a 2nd time in July 2014 making 10 appearances before taking a one year break from football. My most recent move was moving to Queen of the South for a 3rd time in July 2016 and that’s where I am at the moment. WHAT INSPIRED YOU TO LAUNCH THE MODERN DAY GK? The reason we decided to start @themoderndaygk is to help young Goalkeepers reach their true potential - exactly what I didn't do! I was expected to play at the highest level but for certain reasons I got nowhere near and feel I have all the experience to help any young Goalkeeper through every step of trying to make it to the top level. My brother Mark is a top Strength and Conditioning coach so between us we feel we can really improve every aspect of a Goalkeeper’s game, technically physically and mentally! WHAT SERVICES DOES THE MODERN DAY GK PROVIDE? The service the @themoderndaygk provides is to look after all aspects of a Goalkeepers career. Providing advice, technical coaching, physical work and all other areas. We haven't started coaching yet but we have a lot of high profile young Goalkeepers asking to come train with us, 2 of them are England Internationals who will be coming in over the next few weeks! WHERE DO YOU DRAW INSPIRATION FROM FOR YOUR INSTAGRAM & YOU TUBE VIDEOS? The inspiration behind our videos is to ensure young Goalkeepers reach their full potential. Conventional goalkeeper training (which I've had throughout my career) hasn’t done me any favours at all. I prefer to make everything game-related when I train. WHICH ATTRIBUTES ARE MOST IMPORTANT FOR A GOALKEEPER TO EXCEL IN THE MODERN GAME? Mentality is always the biggest aspect of being a Goalkeeper at any level . Being comfortable with the ball at your feet is crucial. Physical strength is so important these days as the game is more focused on athletes now as opposed to natural talent. I love to see naturally talented keepers but like many other sports, sadly this isn't the most important thing anymore. ANY AMBITIONS TO BRING YOUR TRAINING FURTHER AFIELD? We'd love to take @themoderndaygk to the U.S. at some point in the near future, whether on a permanent basis or to help run academies/workshops. 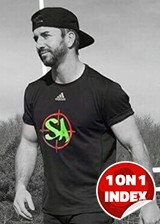 Danny Gildea is the founder of GPS Soccer Assassins; providing training sessions and video content to a worldwide audience with 300,000 followers on Instagram (at present). Gildea originates from Scarborough, England and moved to the U.S. to fulfill his long-term ambition of coaching on a full-time basis before launching Soccer Assassins in 2015. WHAT’S YOUR SOCCER PLAYING BACKGROUND? I started playing from the age of 4 in England and grew up in an Academy system at Leeds United until 15/16 then I signed my apprenticeship for my hometown club Scarborough from 16-19 years old, did one year as a Pro and left at 20 and started getting into coaching from there. I played several years at Semi-Pro level for 5 or 6 clubs in England alongside coaching for 4 or 5 years. In my early 20’s I started coming out to the U.S. for 8 months a year and would go back to England and play Semi-Pro in between. Once I came to the U.S. on a full-time basis that ended my playing career as coaching then took over. WHAT COACHING INVOLVEMENT DID YOU HAVE PRIOR TO LAUNCHING SOCCER ASSASSINS? I started doing my badges and coaching whilst I was playing, I completed my FA Level 2 when I was 19 and did some coaching through my club. When I left Scarborough at 20 I went straight into coaching, working with after school clubs and local academy teams. I came out to the U.S. with Challenger Sports and in my 2nd year I was offered Club Training Position in Wisconsin where I spent 6 years. I started off as a Head Coach and ended up as Director of Youth Development for 3 years. I then moved out to Dubai to coach but that only lasted a couple of months as it wasn’t for me and I missed the U.S. so I came back through GPS to Massachusetts and had teams for for the first few months before starting the Soccer Assassins program. WAS IT A LONG-STANDING AMBITION OF YOURS TO COACH IN THE U.S.? Yes, even when I was 17/18 and then did my coaching badges in England I felt like I had a knack for it and even my assessor told me “you’re very good at this and if you end up going out to the U.S. you’ll do very well out there and coach at a decent level”. It stuck with me and when I did eventually coach in the U.S. it was just with the summer camps and was a bit of fun and wasn’t something I was looking at full-time at that point but I loved it. WHAT INSPIRED YOU TO LAUNCH SOCCER ASSASSINS? When I lived in Wisconsin I was putting together skills videos for my players/teams for them to practice whilst I was back in the UK over the winter. It helped provide them with ideas for winter training as I wasn’t around. My personal Instagram account thats featured some training videos started growing and getting some attention. People not associated with my teams would message me and request exercises they could do and I would feature that on my page. This was on a much smaller scale but I enjoyed it. When I came to GPS I wanted to continue that but wasn’t sure in what capacity as they have their own social media. I offered to provide skills videos to help grow their own social media and then eventually started Soccer Assassins under the GPS umbrella. WHERE DO YOU DRAW INSPIRATION FROM FOR SESSION & VIDEO CONTENT? I watched the likes of F2 Freestylers and you take little bits and apply it to some of the fun stuff I do. When I turn up for a session I like to get creative on the field and like to try different things, it might be the same skills but in a different format such as the shape of the setup, for example going from having players dribbling in straight lines to having them dribbling around a triangle. It helps give it a different feel for the players. There are trainers I respect with what I see them doing with sessions, both growing up with the coaching I had and the likes of Superior Striker, Joner Football 1 on 1 and many others out there. It makes me want to push my training on too because they’re doing such a good job as well. Enjoy it and work on your game, don't get discouraged as there are going to be spells where you’ll have dips and you’ve just got to stick with it. Individual coaching for players nowadays is fantastic, people can knock it but if you want to reach the next level its a good thing to get the extra training. Its hard to reach that level just through team training, you’re getting enough individual touches and techniques in a lot of club training. It’s not every club and there are some that do things the right way but on the flip side you also have clubs where 11 year old are focusing on shadow play during training sessions! To continue to grow our social media as the exposure brings a lot of opportunities. I want to train as many players as I possibly can and look to move into more work with Professional players as I feel like I can bring something to the table. I would like to continue to travel and bring my training to different states also. Tommy Spijkers is the owner/founder of Ohio-based training organization PDSA Soccer. Spijkers grew up in the Netherlands before moving to the U.S. to pursue a career as a Professional Soccer Coach. Having previously coached for soccer organizations in CO, OH, MA, NJ & NY; Spijkers founded the Player Development Soccer Academy (PDSA) in 2013. WHAT COACHING INVOLVEMENT DID YOU HAVE PRIOR TO LAUNCHING PDSA SOCCER? 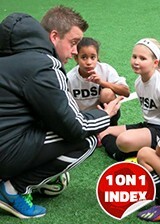 I started the Player Development Soccer Academy (PDSA Soccer) with a lot of experience in soccer training and coaching. At the age of 16 I started coaching in the local soccer program in the town where I was born and grew up in the Netherlands, Tilburg. My mother was the coordinator of an age group and needed a trainer/coach for one of the teams. Since I played my whole life she asked if I was able to help her out and do the training sessions before my own team had practice. After falling in love with coaching soccer I decided to start the next season to fully focus on coaching soccer instead of coaching and playing. After that first season I have coached several youth soccer teams in the Netherlands. For my UEFA B license I did an internship as the assistant coach for the first team of a semi professional team. That year this team won the league, state cup and national cup. The excitement of the success of this team really pushed me towards trying to become a professional soccer coach. Shortly after that season I moved to New Jersey to chase the dream of being a full-time Professional Soccer Coach. I was 24 years old and I worked for a soccer training organization providing training session in New Jersey and New York City. After a year I got the offer to become the Academy Manager of a USL Professional team in Dayton, Ohio. I accepted that position and worked for 2 years for this club as their Academy Manager. During those 2 years I came to the conclusion our vision on how to develop youth soccer players was not going to be in line, and I chose to start PDSA Soccer instead of renewing staying with this club. WHAT INSPIRED YOU TO LAUNCH PDSA SOCCER? As I just mentioned I was the Academy Manager for a professional club, but I felt that we were not offering our players a truly professional environment. In my opinion too many decisions were based on resources, not on what would be best for the players. After trying to find middle ground for a long time it became clear to me we just saw things differently. In my vision players need to learn how to do skills (technical) first, then they have to learn when and where to use these (tactical). Finally they need to learn to do all these things as a team. With PDSA Soccer we focus on the skills part. We teach player how to dribble, pass, receive the ball, do moves, shoot, etc. As a player, especially looking back, I always missed technical training. In the United States a lot of people look up to the Netherlands when it coms to youth soccer development and that is probably deserved. But this does not mean that every player in every program is receiving the best of the best training. I have had to learn all the skills myself at 25 years old. I was the crazy coach who was there 20 minutes before every session to practice the skills I wanted the player to learn the very next week. That feeling of having missed out on becoming a technical skilled player as a young child has played a big part in the development focus I have created with PDSA Soccer. WHAT COACHING SERVICES DO PDSA SOCCER PROVIDE? We offer private and small training your round, which is one of our bigger programs. In addition to these training program we offer small sided tournaments. We have created the 3v3 State Cup and are looking to expend that by finding local partners in every state for example. We believe these small sided concepts are great for the players development. Let me start with explaining the process we have in place for private and small group training. We start with a meeting with the player(s) and talk with them about their goals. After this meeting we create a specialized development plan for the player(s). With this plan in hand we start the training sessions. I feel private and small group training is one of the biggest development tools for any player at any level of any age. There are 2 reasons I feel this way. The first reason if when doing private or small group training we can completely customize the training to the development points and goals of the players. When doing a group session every player is working on the same type of skills. In our group sessions we do challenge every player at their own level. When we work on moves for example the more development players will reworking on different moves than less experienced players, but the players are working moves. If a player really needs to improve their shooting this is not helping them with that. In private and small group training we work on what the player needs to work on. The second reason I feel that private and small group training is great for players is the feedback they receive during the session. When doing a group session we have 12 players in the session. If this is an hour session that the best case scenario I am able to provide every player 5 minutes of feedback. This is not the exact number because time will be spend on explaining the drills before the players start. When I am not providing feedback the players are off course still improving their skills, as they are doing the drill and the actual skills. In private and small group training I can spend way more time to provide the player with feedback. In a session with 2 players I can provide each player 30 minutes of feedback. That is 6 times (!) as much as in a group session. After doing a set number of training sessions we evaluate with the player and make adjustments to their development plan. We offer homework through our website with every session, which is based on the player(s) development goals. This way we make sure every player which is doing private or small group training will achieve their goals. WHAT COACHING/TRAINING METHODS COULD THE U.S. ADOPT FROM THE NETHERLANDS? I honestly feel there are not that many things the US could adopt from the Netherlands when in comes to training or coaching methods. Looking at some of the coaches in this country, there are some high level coaches in the United States. There are 2 things I would love to see in the United States when it comes to youth soccer that I do see in the Netherlands. In the Netherlands team have practices during the week and play a game on Saturday. One game, not four and winning one makes you a winner. One game and if you lost that game, you have to wait a week for your next game. During the week coaches and trainers actually have time to work on improving the players. There are no Wednesday evening games, week days are for training. Tournaments are only at the end of the season, and they are for fun. There is on ranking based on who played the most tournaments and won them. You play tournaments for fun. The second thing is the focus on looking good. Players in the Netherlands want to win every game, just like players do here. But in the Netherlands parents are not as crazy as the American parents. Parents dont go crazy at a 10 year old soccer game in the Netherlands. They are not constantly coaching and yelling from the parents side to make sure their child wins. Coaches are focussing on winning and teach players how to waste time at U10 games? That is just nuts to me. When I started playing I was on the 7th team in my age group. That is the G team. Can you imagine anyone signing up their child for the G team? Here parents would just take their kid to a different club where their child is on the A or B team. Club philosophy, development plans, values, it almost doesn't matter as long as little Johnny is on the A team. I think parents should pick a club based on what their child will be taught, and in which way. Not based on if this the A or D team. WHAT COACHING/TRAINING METHODS COULD THE NETHERLANDS ADOPT FROM THE U.S.? The United States is great when it comes to creating athletes. In the Netherlands we focus on technical skills and tactical game understanding, but things as speed and agility are almost forgotten. I feel Dutch youth soccer players could really improve their game a lot if they would be able to become better athletes. WHAT NEXT FOR PDSA SOCCER? When starting PDSA Soccer I always have had in mind to grow this into a nationwide soccer training academy. I understand this is very ambitious and I work hard to get closer to this goal. I feel I have fine tuned and proven the concept. We have the development and training philosophy combined with the training program I feel will benefit every players. We just started a new location in Chicago, which will be a new challenge. After this location my focus will be to recruit new coaches in new location and keep building towards to goal of making PDSA Soccer a nationwide concept. In addition to our new locations we are also getting more involved online. We have been creating some training programs players can do on our website. We are going to publish some of these programs in the near future. I am very excited about this part of our business because this will allow us to help players improve their technical skills no matter if they live close to a PDSA Soccer location or not. Chad Bartlomé grew up in California and played College Soccer at Oregon State University. After playing professionally in the U.S. he moved to Switzerland, winning 3 championships during his 10 year career. He now runs a Soccer Academy in Basel, Switzerland (Bartlomé Soccer Academy). BSA works to help players develop their game through 1 on 1, small group sessions and skill camps. I grew up playing youth soccer in the Sacramento, California area and played college ball at Oregon State University for 4 years. After that, I played professional indoor for the California Cougars in the MISL. I also had a small stint with the Portland Timbers when they were in the USL. However, during my 2nd season with the California Cougars, I was able to organize a tryout with Swiss giants FC Basel, so I packed up my things and shipped out to Switzerland. Although I didn't receive the contract with Basel, I was seen by some 2nd division clubs and was picked up. For the next 7 years, I played in Switzerland. Bouncing around a bit from 2nd and 3rd division clubs but gaining a ton of experience and really developing my game in ways that I never would've in the U.S. I came back to Sacramento to play the inaugural season for the Sacramento Republic FC in 2014. We won the USL Championship that year. After taking a break from the game in 2015, I moved back to Switzerland to play for one of my old clubs in the Swiss 3rd division. I also started Bartlomé Soccer Academy at this time. After things started picking up with BSA, I realized that I would not be able to simultaneously give both playing and coaching the proper focus that they both deserve, so I decided to step back a bit from playing and focus on BSA full time. 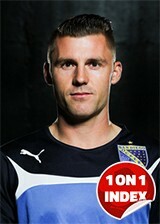 Now I play in the Swiss 6th division mostly just for fun. Most of my career has been as a striker, however, at some point or another I have played just about every other position on the field! WHAT COACHING INVOLVEMENT DID YOU HAVE PRIOR TO LAUNCHING BARTLOMÉ SOCCER ACADEMY? I’ve been coaching since I was 16. I’ve always done private sessions on the side throughout my whole career. I’ve easily logged in a few hundred private sessions over the years with dozens and dozens of youth players. I love working with passionate players and I love passing down my knowledge and experience. It’s so rewarding to see players develop and succeed knowing that you've helped them achieve their goals. I’ve also coached local International School teams here in Basel and worked dozens of soccer camps and team clinics. I also designed, started and led an after school program back in 2012 for my club here in Basel, aimed towards giving young players who can’t find a club an opportunity to get professional style training twice a week for free. The program gets upwards of 50-60 players per session and was picked up for a time by FC Basel and is funded by the state and still runs today. Although it was difficult to do a lot of coaching while leading a professional playing career, I always tried to stay involved in coaching and hope to start working on my badges again and get my UEFA B license next year. WHAT INSPIRED YOU TO LAUNCH BARTLOMÉ SOCCER ACADEMY? I’ve always thought about doing something like this as soon as I was done with my playing career. I have always felt that you can be so much more impactful to so many more players in a 1 on 1 or small group environment. The knowledge I give my players is much more personal and custom tailored to what they need in order to take those next steps toward their goals. When you're coaching a team, you have a more broad influence on all of the players but when you coach a player 1 on 1, you become like a mentor to them and you can really make a difference in that one player’s development. You can build a much better relationship with that player and build their trust so that they will work harder for you than they ever would for their club coach. This is when the real work gets done and you see a lot of development. It’s truly very rewarding work and I consider my self very lucky to have the opportunity to be able to do it for a living. WHICH PROFESSIONAL PLAYERS HAVE YOU TRAINED IN A 1 ON 1 ENVIRONMENT? BSA is truly in its infancy still, only being officially here in Switzerland for 1 year now. 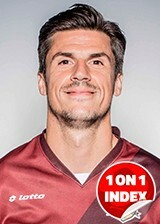 I hope to work with more professional players in the future but at the moment, the only professional player I’ve worked with that people will recognize is Timm Klose of Norwich City and the Swiss National team. He’s a fantastic player, a true professional and a class act. I’ve worked with a number of semi-professional players from the 3rd division here in Switzerland and many of my teammates in the past. I also had the opportunity of working together with Next Level Footballers Academy this last December in San Diego, California. We collaborated to work with professional player Meg Crosson. BSA is an inclusive program, meaning we try to work with any player that is passionate about the game and about getting better whatever level their game is at. We are confident that we can give them the tools they need to raise that level and elevate their game! I touched on this a bit above, as well, but one of the main things I see is players need some extra, specific work that they just aren't getting in the training sessions with their club team. This can be in any position really: defenders aren’t getting enough 1v1 closing down situations, midfielders aren’t getting enough opportunities to work on their long ball, goalkeepers aren’t getting enough shot blocking, etc. As a striker, I’ve had times where I’ll go a whole week of training without getting more than 5 or 6 quality chances on goal…. that's crazy! But sometimes, depending on the design of the training sessions by the Head Coach, things just aren’t planned out with every player’s needs in mind, or maybe you're just not getting the right kind of service during training. This can cause players to lack a bit in certain areas of their game whatever that might be, in turn they tend to lose a bit of confidence because of it or lose sharpness. We can take a good look at those issues in their game and attack them, work them out and keep working on it until it becomes automatic, building the muscle memory until they can't get it wrong! This, in turn, builds their confidence and they feel better knowing they've put in the extra work that the other guy or girl hasn’t. On top of all of that, my sessions always involve plenty of speed & agility, injury prevention, footwork, balance and other exercises that work on their overall athleticism as footballers. These are things that tend to get left out of normal team sessions due to lack of time, knowledge or the proper equipment. HOW DO YOUTH PLAYERS IN SWITZERLAND & THE U.S. DIFFERENTIATE IN YOUR OPINION? Youth players in Switzerland eat, breathe, sleep and just live Soccer. That’s all they do and they do it year round. Most of them don't play any other sports either, they play at school, they play after school and then they also play when they train with their club 3-4 times a week. Things are definitely changing in the U.S. and Soccer is growing and becoming more serious and more professional opportunities are available for players coming out of the youth ranks. But over here, it is still on another level and has been for a long time. This creates very technically and tactically sound players, very intelligent players who know the game inside and out. What they lack here in Switzerland is quality performance training. Youth players in the U.S. are much more athletic and are willing to put in the extra work on the performance side whether it be strength training, speed & agility or plyometrics. Performance training is still very new over here and most of Switzerland is far behind what Athletes are doing in the U.S. Teams and individual players are really just starting to implement proper performance training into their training programs. Yael Averbuch is a Professional soccer player who has represented the USWNT as well as playing club soccer in the U.S. and across Europe. Averbuch is a keen proponent of 1 on 1 training and has recently launched the Techne Futbol app, that takes players through a weekly technical training session that can be completed individually, with minimal equipment. WHAT HELPED YOU TO DEVELOP WHILST GROWING UP AS A YOUTH PLAYER? I was very fortunate as a young player to have wonderful coaches and mentors who helped me find teams to play with that would challenge me (like playing on a boys team or with older girls) and also showed me things I could do with the ball on my own to continue to get better. The time I spent training outside of my team training sessions was by far the thing that has had the most impact on my career. DID YOU TAKE PART IN ANY 1 ON 1 SESSIONS AS A YOUTH PLAYER? All the time! I had several coaches who would work with me individually on different aspects of the game. I still love doing 1 on 1 sessions now! WHAT KEY DIFFERENCES DID YOU NOTICE IN THE WOMEN’S GAME FROM PLAYING PROFESSIONALLY IN THE US AND EUROPE? In Europe the game is not as athletic or fast-paced. There’s more of an emphasis on tactics and technique and working as a team. In the U.S. the game is very individual and players who can win individual battles often succeed. I think the women’s game is constantly evolving and improving very rapidly. I see huge progress in the quality of play all over the world. WHAT DO YOU CONSIDER THE HIGHLIGHT OF YOUR PLAYING CAREER TO DATE? That’s tough! Certainly winning the 2008 NCAA championship with the University of North Carolina was one of them. It was my last college game so to finish my career there as a champion meant a lot to me. If I’m going to be very honest, I enjoy the smaller moments of playing pickup or winning a game of soccer tennis just as much as some of the big moments. For sure suiting up to represent the U.S. National Team is a major highlight, though, and nothing compares to that! WHAT INSPIRED YOU TO LAUNCH THE TECHNE FUTBOL APP? I’ve gathered a whole library of ideas of ways to creatively train and improve on my own with minimal space and equipment. It’s been an entire lifetime of learning, observing, making things up, and watching others train. I wanted to find a way to share that library of knowledge with players and allow them to experience the feeling of working to master the ball that I have been obsessed with ever since I was a young player. There’s something very empowering about not needing anyone else to help you do it and that’s what I aim to share with the Techne Futbol App. WHAT DOES THE TECHNE FUTBOL APP PROVIDE TO THE SUBSCRIBER? A subscriber first, and most importantly, gets a weekly technical session laid out for them. There are 10 juggling exercises, 10 dribbling, and 10 wall work. Each exercise has a video and written description and then the app uses audio to prompt you to put down your phone and it times you to work for 1 minute on each skill. It then tracks for you how much time you’ve spent training and allows you to record and track your progress on various time trials. The app also includes a weekly lesson on the process of mastery that is motivating and helps to put the work into perspective. Lastly, subscribing to the app connects you to a community of people who are doing the same training and are passionate about the same process. DO YOU FEEL THAT YOUTH PLAYERS GET SUFFICIENT TIME WITH THE BALL AWAY FROM THEIR STRUCTURED TEAM PRACTICES/GAMES? Absolutely not. Team training is the time to use and show the skills that you’ve mastered away from the group. There is no way to get enough repetitions of first touch, striking the ball, etc. if it’s only with a group. To be truly elite, the time spent perfecting techniques away from the team is absolutely vital. I would say to spend as much time with the ball as possible. You can never be too good or too clean on the ball, with both feet. Those are the tools necessary to execute your vision on the field. But it’s important to remember that technique is only part of the puzzle. You must use that technique in smart ways and understand the game (tactics) and take care of your body (physical) and also be confident and relaxed (mental). Being an elite player is about taking control of all the areas that you can, and making sure you are constantly sharpening them and improving. Brian Farber is the CEO of Next Level Footballers Academy, based in CA & Category Manager for Soccer at SKLZ. The SKLZ brand offers skill & performance training products and programs for athletes to use at home and in training environments. Farber has also represented several clubs at MLS, NASL & USL level and currently plays for San Diego Sockers (Major Arena Soccer League). Farber recently helped win the first ever Arena Soccer World Cup for the U.S.
WHAT INSPIRED YOU TO START UP NEXT LEVEL FOOTBALLERS ACADEMY? I always had admiration for my teachers and I guess I figured if soccer did not work out then that’s what I would do. My passion to teach shifted from helping in the classroom to spending time on the pitch passing on the knowledge that I have acquired throughout my career. I launched next level footballers in 2006 as I began to run camps in the off season and it shifted from camps to private training where we could focus more on the individual and make a bigger impact. We now have a team of coaches whom are all professionals and carry the same passion to teach the game of football. A few years back I was able to visit an unnamed academy for a week worth of training. I watched the oldest group train thinking some of these kids could be on the verge of breaking out soon. I asked one of the coaches whom I should keep an eye on and I was directed to the center forward who was very dangerous on the ball. I began keeping track of his touches and reps in front of goal for every session. In fifteen total sessions they did three finishing exercises where the service was provided from a wide position. Interesting because everything was focused on getting the ball into the wide position in the back and middle third. This player was supposed to be the best offensive threat and clearly had the ability to beat players 1on1 using his given abilities. His coaches who loved him and bragged about him failed to see that he only had seven reps the whole week. The session was not benefiting the one player in the system that needed the reps the most. I mentioned the stats to the coach at the end of the week and stated this player had less then ten reps from wide service and he did not believe me. That was a light bulb for me. We do an hour worth of one finishing topic each Sunday so these players can gain the reps in front of the goal that they need and are not getting at normal practices. We can get 50 -75 reps in an hour so players can be more prepared to finish the real chances in a game. Knowing that high-level academies can overlook their best players in these key parts of the game is just more proof of why we are so important to these kids. WHAT SERVICES DOES NEXT LEVEL FOOTBALLERS ACADEMY PROVIDE? We offer private, small group and team session focused on individual improvement. We work with all ages and skill level because each player is at a different point on their soccer path. Our professional coaching staff works on everything to create well-rounded, confident players. we attack the players weaknesses to make them less predictable and more creative on the ball and aware of their surroundings at all times. We are building a culture our here in San Diego and our footballers are realizing that extra training is not something you look for because you were cut from a team or not getting playing time, they are starting to understand if you have high level goals like a scholarship then extra training is not special it is a necessity. 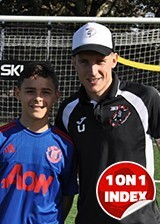 HOW DO SKLZ PRODUCTS WORK IN CONJUNCTION WITH 1 ON 1 SOCCER TRAINING? 1 on 1 training focuses on what a coach cannot do with a full team. To really learn and develop the skills necessary to get better you need to focus on one element of your game at a time with full focus. A player needs to spend 10,000 hours to become an expert and the hours don’t add up if you only train with your normal team training. Many of our products are aimed for the home environment to spend hours mastering your technique in the back yard rep after rep with real direction. HOW DO SKLZ COME UP WITH NEW PRODUCT IDEAS? Product ideas come from all over the world. I just received a product from Ireland that is very interesting for the soccer market. We spend a lot of time developing our own ideas but were always open to good ideas and helping an inventor bring their soccer product or idea to the world market. DOES YOUR OWN SOCCER PLAYING EXPERIENCE HELP ENABLE YOU TO FORESEE WHICH PRODUCTS COULD BE OF BENEFIT TO PLAYERS/COACHES? Playing at a high level absolutely helped me identify quality products or innovations that can help a player improve but combining those experiences with coaching has helped me even more. I grew up in a small town in Idaho and high-level coaches were hard to come by. Once I became a pro I began coaching and only then did I realize on how much I missed out on as a kid. I was never challenged by my coaches to improve my weaknesses and when I coach I push hard to help the athlete get rid of bad habits they have developed. I am constantly thinking of ways to help a player improve. Although much of the improvements come from the will and efforts of the athlete there are a lot of products that aid in that improvement. WHERE ARE SKLZ TRAINING PRODUCTS AVAILABLE TO PURCHASE? Our website is a great place to get comprehensive information on all our products. If you cannot wait to receive the product in the mail then you can find our products in nearly all national and regional sporting goods stores across America as well as online with Soccer.com and Amazon. Madelene Göras is the founder of Goeras Football Education, a Training Academy based around Stockholm, Sweden with an emphasis on individual skill development. Göras previously played Professionally in Sweden, winning the Champions League with Umeå IK and representing the Sweden U21 National Team. I have played at the highest level in 10 years (Sweden). I played my first game in Damallsvenskan when I was 15 years old. I won the Champions League with Umeå IK, we also won Damallsvenskan twice and the Swedish Cup. I was captain of the Youth National Team. I also played a few games in U21 National Team. When I was 25 I started to work as an instructor instead of being a soccer player, mainly as I had some serious injuries as a player. WHAT INSPIRED YOU TO START GOERAS FOOTBALL EDUCATION? I started Goeras of several reasons; One of them is that I LOVE soccer (can’t live without it), already as a kid I knew I was going to be a soccer player and then work with soccer. Another reason is that there is a lack of great female technical soccer instructors in Sweden. I think its so important that our young female soccer players have role models to look up to and have females instructors (not only male instructors). I first worked at another academy in Stockholm (I was responsible for players and leaders education). After a while I felt that I wanted to do this in my own name, both better and different. WHAT DOES GOERAS FOOTBALL EDUCATION PROVIDE FOR PLAYERS? We provide individual training, team training, goalkeeper training, small groups of player training and camps. Besides that we also provide video analysis of technical skills and matches (individually). Our education is for both girls and boys (at all levels). 90% of our clients are female soccer players. WHAT DO YOU FEEL ARE THE BENEFITS OF 1 ON 1 TRAINING FOR PLAYERS? You have more time with the player; You create a program which is designed to fit the client, based on the needs the player has. You can work with the details which can change the game. You can work with a player’s weaker attributes or with the stronger attributes to make it a quality that makes a difference. The player also get a mentor/coach, sometimes it can be easier to talk with your individual coach instead of your team coach. It’s also good not to be involved with the games and the team selection of the games, you can focus on the player’s development only. I draw inspiration from games (from youth games and professional games), I look at different situations in the game and what skill you need. From that I create exercises. I also draw inspiration from YouTube and Instagram. The most important quality you can have is your will/dedication. That you are focused and always do your best at all training, but you also need to work more than others. Play with the ball often, train your technique at home on your own, or with a friend at the field. Try to make your technical skills faster and better at all times. Work with your orientation on the field as often you can (you can practice that even when you practice by your own) and also work with both feet. If you don’t have an individual coach, watch Instagram videos to get inspiration for your own training - always train with dedication. WHAT NEXT FOR GOERAS FOOTBALL EDUCATION? Next is to create our own training facility. We need a small field indoor (with artificial grass). Besides that we continue to work hard, we want to be the best academy for female soccer players in Sweden. We’re also going to visit the USA (California) in January and hopefully we can visit some academies. 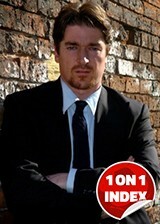 Lee Jones is the Owner/Founder of Joner 1on1 Football Training, based in Sydney Australia. Jones played at youth level for Everton FC & youth/professional level for Wrexham AFC before moving to Australia joining Northbridge FC. He has now progressed up the leagues to NPL1 which is one tier below the A League, playing for Hakoah FC. From age 6 to 15 I played for Everton FC in the English Premier League. From age 15 to 22 I signed my first professional contract for Wrexham AFC (League 1 team at the time). I have also represented my country playing for Wales. At the age of 22 I came to Sydney, Australia for a new adventure of playing and coaching. 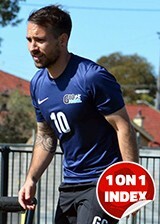 I am now playing Semi professional for Hakoah FC in NPL1 but coaching and Joner 1on1 is my main passion. WHAT BROUGHT YOU TO SYDNEY, AUSTRALIA FROM THE UK? I wanted a change from the UK; I also had a friend in Australia who played soccer. I wanted to see what opportunities there were available in Australia, I’ve been here for 3 years now and haven’t looked back. WHAT INSPIRED YOU TO FOCUS ON 1 ON 1 COACHING? I noticed that a lot of players that I was coaching within a team environment just lacked that technical ability in all areas. I also felt that sometimes during team training sessions, as a player you weren’t getting enough touches of the ball, not enough repetition with the ball to really get that consistency. I started to get a few enquiries to do private sessions and then once I started delivering them with a few balls and cones, the enquiries started hitting the roof. It was my wife that pushed me to start my own business in 2013. It has now become my full time job, coaching the best talent Australia has to offer. A league players, Women’s Premier League players, Winners of the Nike Academy, international players including young Matildas. Now I also do team training sessions, Elite soccer camps, online training programs, position specific training, match analysis package for elite players, design players football portfolios, the Joner 1on1 complete footballer and the latest edition is Joner 1on1 sports tours. HOW MANY COACHES ARE INVOLVED WITH JONER 1 ON 1 FOOTBALL TRAINING? I now have 8 members of staff, 7 coaches including myself. I have an elite coach based in each of the metropolitan areas of Sydney. In addition I have a full time administrator and a part time photographer/videographer. At first I used ideas from all the sessions I’ve had in my career. But then I started to put a program together where I would work on a specific game component each week. A lot of my session ideas are my own, but I love to watch football and learn from others. I also gather all my coaches on the field to get our heads together to design some new drills fro all ages and abilities. HOW DO YOUTH PLAYERS IN AUSTRALIA & THE UK DIFFERENTIATE IN YOUR OPINION? I must admit that soccer is growing rapidly in Australia. A lot more young footballers are getting involved in our beautiful game, especially with the success of the national team over the last few years. I have been here since 2012 and seen it progress every year. To compare it to the UK it is different in a lot of ways. To keep it short there are 30x more teams and opportunities in the UK. As a playing aspect the game is a lot faster and way more physical in the UK. There are a lack of facilities in Australia, I would say this is due to soccer not being the number 1 sport and is competing with cricket and AFL, where as in the UK Soccer is LIFE! Australia needs to have promotion and relegation from NPL1 to A league to see it progress even further. I believe this is due to facilities. WHAT ADVICE WOULD YOU GIVE TO A YOUTH PLAYERS LOOKING TO ADVANCE IN THE GAME? Every player needs to be open-minded and needs to realize that nothing is handed on a plate. They have to put their life and soul into becoming a Professional footballer. Learn from the game, watch the best, study the game, be different, be a character, be 100% committed to your goal and don’t let anyone tell you that you’re not good enough. WHAT NEXT FOR JONER 1 ON 1 FOOTBALL TRAINING? Continue to develop and invest my time into my coaches. Build the Joner 1on1 Sports tours. Work with some really big names within the game. Grow all social media pages to become a social influencer. Take the Joner 1on1 brand and program all around the world. Have coaches working for Joner 1on1 internationally. Continue to love the game and have a huge amount of passion for developing young players. Saul Isaksson-Hurst has been a skills Coach in Premier League Academy Football for over 10 years at Chelsea FC and Tottenham Hotspur FC. 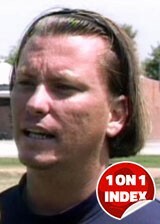 He's also Director/Owner at MyPersonalFootballCoach.com & PDA Football 1 on 1. MyPersonalFootballCoach.com is an interactive individual training program proven to produce Premier League and International Players. WHAT INSPIRED YOU TO LAUNCH MYPERSONALFOOTBALLCOACH.COM? 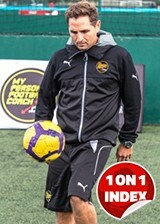 MyPersonalFootballCoach.com was born out of my desire to work with more players all over the world. I've been fortunate enough to have had a lot of success in developing and supporting players 1on1 into Academy football, signing for Arsenal, Chelsea, Aston Villa, Tottenham Hotspur and Norwich. Players have also gone on to represent their country and play in the Premier League. I was always restricted by time and location. I wanted to create something that players could access any where in the world, a way of empowering them and giving them the opportunity to find out what it takes and how to develop into a Pro player. HOW HAS MYPERSONALFOOTBALLCOACH.COM DEVELOPED SINCE YOU LAUNCHED IN 2014? It’s been a whirlwind couple of years, to start the site was a bit of a brain dump, just 100s of techniques and practices, since then we have evolved in to a clear technical course, including 30 20 minute technical sessions proven to improve a soccer players game. It’s really concise and easy to follow for players of all ages and abilities. We’ve had great feedback also, with users in over 20 countries. Also Wolverhampton Wanderers a Category 1 Premier League Academy now use it for their 8-12s program and we are currently in talks with other Premier League Clubs and pro clubs from continental Europe. What’s great about MPFC (My Personal Football Coach.com) is that it supports players of all abilities, from beginners to pro players, it makes me immensely proud! I’m fortunate to have worked in Premier League Academy Football for over 10 years now at Chelsea and Tottenham Hotspur. This has allowed me to watch and work with some oft he best players and young players in the world on a regular basis. My inspiration comes from watching these guys in training and games, seeing how the move with the ball and effect the game and trying to reproduce these outcomes in my sessions. Ive tried to stay true to the original principles of MPFC, making all session accessible to everyone anywhere, as long as you have a ball and maybe a wall or friend. You can set the sessions up anytime anywhere! 1 on 1 coaching is of benefit to all players, whether beginners or Elite players. My particular specialism is elite and aspiring elite players. If you want to be a top player it’s impossible without isolated technical practice. You look at any sport in the world and the top performers are doing isolated practice. The key is making that practice firstly challenging and then making it functional. MyPersonalFootballCoach.com teaches you the fundamental techniques needed to be a Pro player but also gives you functional 'game like' practices to master them. These functional practices are microcosmic examples of game situations and help you develop technique in preparation for game time. All the skill & technical training must be done with a a view of contextualizing that in a game situation for a player. Teach them a skill but most importantly teach them how and where to use it in a game. The key for me is technical development and desire! I keep emphasizing to players the importance to be able to play off both feet, it's a simple idea that is possible for every player but just takes a lot of hard work. Also to be technically excellent in all areas, can you be the most technical player in your team? Lastly desire, I work with many players who want to make it into Pro clubs, and the majority of the time it comes down to this……how much do you want it? It's a tough game to get into and you have to want it more than the next player. If you’re not doing some sort of technical practice everyday you have no chance. WHAT ADVICE WOULD YOU GIVE TO ASPIRING COACHES? Coaches just have to get out there and do it; get as much experience as possible and see as many experienced good practitioners as possible. I’ve always had a real natural passion for the game, when I began coaching I made a decision to become a student of the game. I did a lot of reading from leaders in the field, books and DVDs on formations and training systems and most importantly watching and learning from top class coaches. Experience is the key as you can put all these things into practice and develop your own methodology. 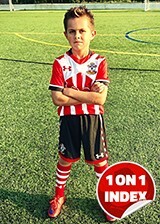 IS A YOUTH PLAYER’S TECHNIQUE VIEWED AS A KEY ATTRIBUTE BY PREMIER LEAGUE ACADEMIES? That’s a difficult question to answer. If I’m honest I still think there’s too much emphasis on physicality when academies are recruiting. I think that’s slowly changing. Most quality academies will focus on technique in the early ages, although what this looks like can wildly vary from one club to the next. Club A may focus on Ball Mastery and 1V1 and club B may focus on passing and receiving. It often depends on the philosophy of the academy. I think players need a more rounded technical education will all factors. MPFC has users from many Academies in England, as they often don’t get that important ball mastery and 1v1 work. This lack of quality individual technical coaching is a big issue in England particularly. IN WHICH AREAS CAN PREMIER LEAGUE ACADEMIES IMPROVE THEIR STRUCTURE? The Premier League new EPPP categorization has made big improvements in the general organization and quality control of Academy football. The interesting thing that most people won’t realize is the stark contrast between academies in terms of philosophies and what approach to football education the players will receive. This differs wildly from one club to the other. You could argue to bringing together of footballing philosophies, the only issue with this is that there are so many different opinions in football with so many successful academies operating in different ways. Allan Russell is the founder of Superior Striker; the world’s first complete striker specific training program for Professional & Aspiring Professional players. Russell played Professionally in both the Scottish and English leagues including with Kilmarnock FC in the SPL before moving to the U.S. to play for Carolina Rail Hawks & Orange County Blues winning 2 regular season NASL Championships. WHAT TRAINING METHODS AND PHILOSOPHY DOES SUPERIOR STRIKER PROMOTE? Quite simply, I build complete strikers. Essentially, what I do is I train players in specific situations and with certain methods that continually feeds their mind and muscle memory with information that maximize’s match day performance. Strikers are judged on their goal scoring and my training shows them how to be far more productive on and off the ball to become ruthless, intelligent and consistent. I feel it's the quickest way to building a complete Striker. Seeing all levels of players I train instantly improve and take their game to new levels is amazing. This continually inspires me to be the world’s top striker coach. WAS IT A LONG-STANDING AMBITION OF YOURS TO PLAY/COACH IN THE U.S.? Since playing in tournaments in the U.S as a youngster for Glasgow Rangers I always envisaged myself playing in the U.S at one point in my career. CAN SPECIALIZED 1 ON 1 TRAINING HELP BENEFIT PROFESSIONAL-LEVEL PLAYERS? With the correct coach that has experience, intelligence and a deep knowledge of the game then by all means specialized 1 on 1 training is very beneficial for top level Pro players and beginner youth players. Striker’s have different pictures built up in their mind from midfielders and defenders. Training methods have to be built around the pictures coaches want to build in the mind of what is essentially their game changing and game winning players. Training strikers to maximize their game day performance technically, physically, tactically and mentally is what I love. Along with playing Pro for 18 years my ability to not only study strikers but also defenders, midfielders and teams allows me to build scenarios, plays and technical perfection into strikers I coach. This is what I specialize in and I love every time I step onto the field to do this. Young players looking to advance into the game have to live it like it’s what makes them breathe. Don’t train just to make it as Pro player, train harder and more intelligent than anyone else. Study the game to become the one of the world’s top players. Build an encyclopedia size book of game scenarios and position specific situations in your mind which will allow you to be productive in any situations that arise on the pitch. Don’t always join the winning team as a young player. Commit to the coach who is going to teach you the most and educate you, to make you great in the future. Matt Whitehouse is an Elite Skill Development Coach, specializing in private 1 on 1 training as well as coaching at Academy level with Wolverhampton Wanderers FC & Chesterfield FC. Whitehouse also contributes his thoughts & expertise through his blog 'The Whitehouse Address' and publications 'The Way Forward' & 'Universality'. After working in the US for a few years I saw the focus and importance of 1-1 training and realized that this wasn’t an area used effectively enough in the UK. For me 1-1 coaching can really enhance a players skill-set which is essential for the level of technical excellence required in the modern game. I don’t believe that conventional team/group sessions can enhance these qualities sufficiently, which is why 1-1 training should be part of a players development program. Now it shouldn’t come at the expense of team sessions, as it is important players use their skills in team environments; practices and games, in order to improve their understanding of the game. What 1-1 coaching seeks to do is enhance the players quality with the ball, their skills and control. If they are better in these areas then you will see more confident, composed and effective players. The reason I do 1-1 training is because I believe it is important for a player’s development. DO YOU FEEL THERE’S AN INCREASING POPULARITY IN 1 ON 1 TRAINING WITHIN THE UK? It is slowly becoming more popular, however there are very few coaches offering this type of training. Parents are starting to see the need and importance of getting their young players the extra training required to aid their development. However the limited amount of coaches who offer this training is limited. 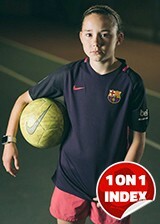 I can see it becoming a growing business in the coming years as it does appear 1-1 training has become more popular. In previous years you wouldn’t hear about 1-1 football training, now that is changing. The key however is that parents/players find good coaches who care about the player’s development and who aren’t in it solely for making money. DO YOU SEE TECHNICAL DEFICIENCIES IN ENGLISH-BASED ACADEMY PLAYERS? I wouldn’t say technical deficiencies, perhaps more tactical in line with the technical. We have some very skillful, creative players in England yet perhaps these players aren’t intelligent enough to use these skills effectively in games. Their understanding of space, movement and positioning seems lacking in many players. This may be because of the separation between technical and tactical coaching, instead of focusing on both to achieve the objectives from both sides. Technical development has become more about ball mastery and skills in unopposed practices rather than using these skills, and passing and receiving is a skill neglected by many it seems these days, in real game situations. This will only help enhance the players ability to impact games. What I would say is lacking with English players is the ability to move the ball and receive at speed. Pass speed is too slow and 1st touch on receiving needs to be further enhanced. When I watch top young foreign players they move the ball with such speed and quality. HOW DID YOU GO ABOUT REVAMPING THE YOUTH ACADEMY STRUCTURE AT CHESTERFIELD FC? The key to our success has been education. We have worked with the coaches and parents to help educate and inform about the philosophy and methods we have introduced. Because of this people in the club are aware of what we seeking to achieve and how we are seeking to do this. Through workshops we have explained the structure, organization and long term development plan which we believe will help produce a top quality footballer. I was recruited to introduce a philosophy and program for the 9-16’s which would develop technically excellent players who possessed skill and creativity. The problem before I arrived was that there wasn’t any real structure to the coaching program. This led to a lack of focus in the work each age group was working towards. Because of this there had been a culture previously of a ‘free for all’ type approach where coaches would decide what to do each session. This lacked the structure and development plan required for what I believe young players require to build a continued understanding of the game. By having greater structure you can have a greater focus on a players development. Instead of reacting after each game there is now a plan in place where each weeks focus is planned. It is a proactive way to develop players which for me improves learning and development. If this sounds restrictive it is not, our coaches and philosophy seeks players to express themselves within the structure. We want to produce thinking players, who are intelligent, who can solve problems and who have the skill-set at their disposal to deal with the demands of the game. Our coaching program seeks to enhance the technical, tactical, physical and psychological elements required to aid their development. Each age group and phase has distinct learning objectives which are built upon and enhanced as the players moves up the Academy pathway. HAVE YOU ADOPTED COERVER TRAINING METHODS INTO YOUR ACADEMY SESSIONS? The Coerver method has become something which is a key part of my training. Through all age groups we have players develop their ball mastery and skills, putting an emphasis on ‘effective use of skill’. We promote 1v1/2v2 practices in all our sessions to help improve a players attacking and defending ability. The Coerver method is seen in the majority of my sessions. I seek to produce exceptional individuals who can also be part of a coherent and cohesive team. The Coerver method for me is the best tool for developing the technical side of the game. As well as this is it enjoyable and energetic. It is not overly complex which allows for positive development. I would advise a young player to do everything they can to enhance their game. To do more than any of their peers. Go and study the game, watch games and take notes. Watch the best players and see what they do in games. Research the work top pro’s did when they were young, the sacrifice, the extra work. Become a student of the game, analyze and learn the game and then go practice it. Do the extra work to improve on your game, enhance your strengths and improve your weaknesses. Find a 1-1 coach who can help your development, find a personal trainer who can improve your athleticism and core strength. Understand psychology and seek to become a master of your mind and be great with your mindset. And above all, enjoy the challenge of improving, embrace the challenges, push yourself to get better and do it with a smile. Too many young players fall into their comfort zone, they stop doing the extra work, they get comfortable. But to become a top player you need to keep pushing yourself, constantly seeking to do more and get better. TELL US A LITTLE MORE ABOUT YOUR ONLINE BLOG & PUBLICATIONS? I’ve been writing the blog ‘The Whitehouse Address’ for several years now. It has become an important part of my coaching as it gives me a chance to formulate my ideas and thoughts on all elements of the game, both youth and pro’s and allows me to get a logical perspective on my thoughts. It has been great to see how well received the blog has been and it’s great to receive correspondence from people who have found it useful for them. Through the success of the blog has come two books also, ‘The Way Forward’ and ‘Universality’. ‘The Way Forward’ allowed me to put together all my thoughts on youth development and coaching and gave an opinion on why English football has fell behind other nations. ‘Universality’ is where I see the game moving towards both in a tactical and technical sense. These ideas shape my present coaching of young players as I believe the game is moving towards this ‘universal’ type of player. Therefore what we do with young players is key for the future. Both books give my opinion and ideas on where the game is heading and what is required for us as coaches to develop players who can succeed in the future game. Again, it has been fantastic to receive such glowing feedback from both books, it does seem the books have struck a chord with many coaches, parents and fans of the game in general. Simon Darcy Clifford is responsible for introducing Brazilian Coaching techniques to the UK & now throughout the world as founder of the Brazilian Soccer Schools franchise. Clifford previously held the role of Head of Sports Science at Southampton FC, providing technical skill sessions to the likes of Gareth Bale and Theo Walcott. WHAT INSPIRED YOU TO LAUNCH BRAZILIAN SOCCER SCHOOLS? Back when I did, which was in 1996 England had just failed to qualify for the 1994 World Cup in the USA. On my Sports Science Degree, we had a look at the FA Prelim badge and I got involved in coaching at this point. What I was doing on the academic side seemed to be at odds with the way we were teaching football to young players and thought there must be a better way, there was nothing revolutionary there. In 1996 I met Juninho (then of Middlesbrough) and went over with him to São Paulo, Brazil and what they did there did seem revolutionary to me and it was an incredible experience and quit my job as a teacher and wanted to change things and positively affect English football. HOW DO BRAZILIAN SOCCER SCHOOLS HELP TO DEVELOP PLAYERS? I still think Brazilian Soccer Schools is a little bit ahead of its time in that regard because we put a huge emphasis on the ball, being competent with all surfaces of both feet and all body parts. Some of the things we introduced almost 20 years ago I still feel there’s room for in England. It was inclusive, it was fun, it didn’t matter what level you played at we would improve you if you put the hours in. If you are ball orientated and willing to work hard day in day out like some of our kids in the early days you’re bound to have some success. WHAT DID YOUR ROLE WITH SOUTHAMPTON FC ENTAIL? There was a lot going on behind the scenes at Southampton before I eventually arrived in September of 2005, I didn’t really want to go and said no to them about 5 times and eventually they almost forced me to go. Myself and Clive Woodward were given the job of revolutionizing the Academy, revolutionizing the facilities and what we did on the training ground back then was a bit ahead of its time. The plan for myself and Clive long-term was to be Manager & Assistant Manager of the club, but we had all sorts of problems with Harry Redknapp and Dave Bassett. The initial planning was great but it was difficult beyond that and ended up being more trouble than it was worth. I only stayed until November and could see we were on a hiding to nothing. We had the likes Gareth Bale & Theo Walcott as youth players at the club, we got these players training and thinking differently with the football and we had a morning session with them that used to begin each day at 6:30-7:00am. We made them look at how hard they wanted to work and how good they wanted to be. Although it was a short time I think some good came out of it. Most of what we wanted to do there is now happening in football, but in those days you had a lot of opposition. HOW CAN ENGLISH PROFESSIONAL CLUBS IMPROVE THEIR YOUTH ACADEMY STRUCTURE? You maybe need to have the Academy separate from the first team, including the youth player’s contracts. That has to be all taken away from the first team Manager, which is slowly happening and there should be separate departments. You have a lot of young players who are in their first of 2nd year of a Pro contract but some Managers are giving big contracts to older players for a quick fix rather than looking to bring on the younger players. These are the sort of problems that we had at Southampton, some of the coaching staff at the club thought the likes of Walcott and Bale weren’t any good and didn’t want them around, it was a battle to get them any first team experience and this is still a problem in the game. If a manager is going to give contracts to 2-3 17 year old he might be in the mindset of when these players come through he won’t be here anyway. I believe at the lower levels things are improving in terms of the coaching and there’s a much more positive philosophy around England. Its big problem getting experience for 16-19 year olds and I’m not sure whether the Championship is going to become the main English League as the Premier League (especially with the new TV deal) can do what they want and don’t need the FA, they don’t need anybody, it’s a European League played on British soil. We have to be realistic about that and look at how our young players are going to get opportunities, the U21 leagues (EPPP) in England aren’t of the required standard for players to develop. You’re never going to get a Germany situation here where everyone pulls in the same direction, in this country there’s a lot of politics and infighting and the Premier league has got to a position where they don’t need anyone or anything. There’s no way that youth players are going to get experience with the likes of Chelsea or Manchester City. IN WHAT WAY DID EX-EVERTON ACADEMY COACH TOSH FARRELL ADOPT BRAZILIAN SOCCER SCHOOLS TRAINING METHODS? Tosh Farrell worked for Colin Harvey at Everton coaching the U8-U12 players. Colin asked for me to get involved with the Everton Youth Academy and passed me onto Tosh. I went down to Everton to meet Tosh and thought he was one of the best coaches I’ve ever seen in every respect. By late 1998 I was working with other clubs such as Manchester United & Middlesbrough and thought Tosh was the best of the bunch, as were his players. He got me involved quite heavily and wanted to use some of the drills/techniques I was introducing that I had picked up in Brazil. I coached with him a couple of times a week with the U8-U12 players and had a lot of interchange between Everton and BSS. He introduced the Futebol de Salão ball to all his sessions and its was nice to see him implement some of our methods that I had witnessed in Brazil into them as well. If a player is 13 or 14 and has had a reasonable background in the game, at that stage they need to put all aspects of their life into Football first and put all of the distractions aside. At 15 or 16 if a player still isn’t associated with a Pro club it’s still possible to do that in 2015. If you work hard every day, eat right, sleep right and look at where you are in your strength, speed and power. All those aspects can be improved. At that age you should be specializing in terms of your technical work relevant to your position. As in any aspect of life, hard work will beat anything and as long as it’s the right work and smart work. I always say to young players you’ll never know whether you’ll be a player until 23, a player anywhere in the system needs to keep working and dream big. At age 13 or 14 anything’s possible, 15-16 the window of opportunity narrows slightly but its still achievable if you’re willing to put mind, body and soul towards your goals. I know players that have been complete write offs at 10, 11 or 12 who worked extremely hard for 8 years or more and got themselves to the very top level of the game in England through sheer hard and smart work. When you’re not getting instant results people around you will say you’re wasting your time and will never make it, you never will if you listen to the negativity. As long as you believe and you keep going in this world, in 2015 anything is possible despite all the money and hype in the game. You need good guidance and to be doing the right work, if you’re willing to put football first, it’ll put you first in return. Jackie Bachteler is an MA-native, currently based in Sweden as a Professional Soccer Player & Director of Coaching at TikiTaka Football Academy. Bachteler has been consistently involved with private 1 on 1 training as both a player & coach over the past decade. HOW DID THE OPPORTUNITY TO PLAY/COACH IN SCANDINAVIA ORIGINALLY COME ABOUT? I graduated from Florida Southern in 2010, two days after graduation I was on a flight over to Finland to play for GBK Kokkola. It was a great first professional experience! I was able to coach in Finland also; I worked in a Finnish soccer school, a Swedish soccer school, and helped my club with camps. In Finland most people in the school only spoke Finnish or Swedish, so I learned and I’m now fluent in the Swedish language. The next year I got recruited to play for IFK Gävle in Sweden. I thought this was a great next step for me because not only was I able to play in the Swedish league but I was also named head coach of IFK Gävle’s second team which played in division 3. Besides that I also worked as a coach in three local soccer schools, and put on the first girls soccer camp for girls in Gävle! That year in Gävle my coach brought me to a TikiTaka coaching development presentation run by Tony Gustavsson. I knew Tony was recently the former assistant coach of the US women’s national team along side Pia Sundage and the head coach of Tyresö FF so I was extremely excited to meet him and hear his coaching philosophy and what TIkiTaka was all about. During the presentation I could not believe how much Tony and I have in common when it comes to coaching philosophies... We talked afterwards and we have such similar views it is scary. Tony and his father Borje offered me a job as a coach and help grow TikiTaka in Sweden and possibly the US! The following year (2013) I went back to Sweden and played for Gustafs GoIF and worked for TikiTaka Football Development. For TikiTaka, I was in charge of Tyresö Academy on the girls side, ran sessions for many clubs in the Stockholm area, directed the TikiTaka Tyresö Soccer Camp, my staff included the A team in Tyresö with players such as Marta, Vero Boquete, Caroline Seger, Christen Press, Meghan Klingenberg and many more. The quality of the whole camp was out of this world!! TikiTaka spread really took off in Sweden last year and I became co-owner alongside Börje and Tony. Playing-wise I transferred to Tyresö FF and played on the B team but had the honor to train with the A team and play with Vero, Marta, Press, etc. It was a dream come true. This past year I transferred to Djurgården and played in the Elitettan. As for TikiTaka I continued to work with clubs around Stockholm, work as the football coach in Olympen Skolan, and am with the Academy in Tyresö, as well as their Flickallsvenskan team. Tyresö was invited to compete in the G17 Elite in the Gothia cup. I was named the head coach and it was by far the best coaching experience I have had so far. We competed against teams such as PSG (France), St. Gabriel (Spain), Eskilstuna (Sweden) etc. TikiTaka is launching in the US and we had our first successful clinic in Milwaukee WI with St. Anthony’s school. There will be many more camps and clinics to come. I will head back to Sweden in January and play for Tyresö FF again. I am excited to be playing for them again as well as continue to work with TikiTaka! HOW DOES PLAYING FOR CLUBS SUCH AS DJURGÅRDEN & TYRESÖ IN SWEDEN COMPARE TO YOUR PLAYING EXPERIENCE IN THE U.S.? In the U.S. I have played in many professional environments and Djurgården/Tyresö are also extremely professional. It’s a much more tactical and technical game in Sweden, where as the US places a bigger emphasis on fitness and the physical and mental side of the game. WHAT TRAINING METHODS AND PHILOSOPHY DOES TIKI TAKA PROMOTE? The TikiTaka method is based on four key factors: Overall perspective, motivation, balance and JOY. TikiTaka comes from experience, proven techniques, scientific studies and the analysis of successful clubs and nations. TikiTaka training is where all the parts in soccer (technical, tactical, physical, mental) interact to form a whole; training is very match-like with a high degree of decision-making. HOW DO YOUTH PLAYERS IN SWEDEN & THE U.S. DIFFERENTIATE IN YOUR OPINION? My opinion is that U.S. players are more physically fit than players in Sweden but the youth players in Sweden are smarter tactically overall in the game. I believe this is because players in Sweden are constantly watching soccer. Americans do not watch nearly enough soccer. Players can develop just as much or more by just simply watching and studying the game. WHAT 1 ON 1 COACHING INVOLVEMENT DID YOU PREVIOUSLY HAVE IN THE U.S.? I’ve been an individual trainer since I was 14 years old. I’m a very technical player and it made me easy to help kids of all ages improve technically. When I was in college I worked as an individual trainer for both boys & girls aged 7 to 16. I would have at least 10 individual sessions each week throughout college. DID YOU PARTICIPATE IN 1 ON 1 TRAINING OR SKILLS-BASED CAMPS/CLINICS GROWING UP? Growing up I did participate in 1 on 1 training session. I had a trainer for a few months and I was lucky enough to have my coaches’ stay after training with me to work on shooting, take on moves etc. The technical benefits that occur during individual training are tremendous, both technically and mentally. It not only increases a player’s confidence with the ball but also, can give the player the opportunity to make technical strengths stronger and improve on weakness. It can also be a place where they gain ideas on different aspects to train on their own. David Copeland-Smith is the Director/Owner at Beast Mode Soccer; Internationally recognized as a leading figure in individual technical development. Following his success as a field presenter at the 2014 NSCAA Convention in Philadelphia, David has continued to grow BMS into the go-to technical training system trusted by many of USWNT, USMNT, and NWSL players. WHAT INSPIRED YOU TO LAUNCH BEAST MODE SOCCER? I had been providing players individual technical sessions for about 10 years before I actually branded with the name of Beast Mode Soccer. The fact is, coaches do not have enough time to dedicate to developing each and every player on their team, and I was fed up seeing players who were 13/14/15 who had been playing at a relatively high level for over 4 years who were technically inept and really didn't have even a good basic foundation but relied on their physical attributes. We kept getting more and more requests for sessions because of the results our players were seeing on the field and it got to the amount that I had to make a choice: Coach teams and continue to do technical sessions, or start exclusively offering 1 on 1 development. After talking to a lot of influential people in my life, most of which said it would not be possible to form such a business, I chose to do it, I love a challenge! WHAT COACHING INVOLVEMENT DID YOU HAVE PRIOR TO LAUNCHING BEAST MODE SOCCER? I coached at home in the UK, local teams, individual sessions etc, got my UEFA licenses, then moved to the USA in 2002 and worked with a camp in Upstate New York, then later with Major League Soccer Camps. For MLSC I was a Player Development Officer. This allowed me to travel around Florida working with various clubs training teams and in the camp environment. After I left MLSC I worked independently for various clubs as a Skills Development Trainer, showing coaches how to get players to train on their own to improve. Again, I was always more interested in the bio-mechanics and movements of technique building and skill development. When I moved to California I decided to only work with one team, and start studying the bio-mechanical side of technique. I also started to read heavily about the mental side of sports development and how I could utilize that into our system, and became basically obsessed with making every player that I worked with the absolute best that they could be. WHICH PRO PLAYERS HAVE YOU WORKED WITH 1 ON 1? This is one of the many reasons I absolutely love 1 on 1 technical development; Every single soccer player on earth can benefit from it. Honestly, we have worked with a phenomenal amount of pro players. 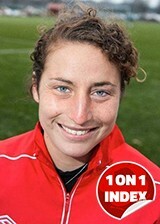 Ali Riley (New Zealand and FC Rosengard in Sweden) was our first player that turned pro. Ali started working with me while in High School, then to Stanford for college then turned pro with FC Gold Pride. Ali was actually responsible for the name Beast Mode Soccer, during a session she hit the top corner and screamed that, I went home and registered the name! All of the pro players that I have worked with all share one thing in common, and that is an absolute relentless pursuit of excellence. They are 100% allergic to standing still and always want to improve. Here are a few of the players that have done Beast Mode Soccer sessions; Ali Riley, Alex Morgan, Landon Donovan, Abby Wambach, Christen Press, Stephen Ireland, Mana Shim, Liz Bogus, Whitney Engen, Kelley O'Hara, Allie Long, Omar Gonzalez, Tobin Heath, Bobby Warsaw, Beverly Goebel, Sarah Huffman, Leslie Osborne, Bianca D'Agostino, Rachel Van Hollebeke (née Buehler), Jill Oakes, Angela Salem, Chelsea Stewart, Sydney Leroux, Rachel Daly and a lot more. The benefits of 1 on 1 training are huge. As I said before, each and every player in the world can benefit from the individual attention of a skill specialist. The fact is, if you truly want to play at an elite level, you HAVE to put the individual technical work in. At Beast Mode Soccer we break down game footage of our players, study it, then formulate long term development program for that player based upon what we have seen and their own personal goals (both short term and long term). Our systems are very much 'building blocks,' based upon functional footwork and techniques, literally every movement and touch we do has a purpose. Once the player has the technique down, we introduce spatial awareness training, which shows the player exactly when and where that certain technique will be used in a game, which starts the process of skill development, and then we introduce high pressure game type scenarios until the player is comfortable executing the skill at full speed. We also implement The Better Soccer Blueprint: Personal with our players, which is a step to step guide showing players exactly how to own their technical, mental, physical and tactical development and really emphasizes the importance of self reliance in soccer. We have had phenomenal results with it, which spawned our award winning training system The Better Soccer Blueprint, allowing any player to train 'The Beast Mode Soccer Way' from their own home. Again, the feedback we get from players who commit to the system is unreal. Players who make goals, like the one player who was playing rec soccer, but wanted to make ODP and achieved that goal within a year following the Blueprint. Commit. It's a simple word. Every player who I have worked with who has made it to highest level has done so by making a commitment to excellence. We live in a society that is becoming crippled with entitlement and laziness. We use the word 'talent' as a crutch, which people use to enable them to be o.k. with mediocrity. I get mad when I hear a commentator say Alex Morgan or Christen Press are 'natural born goal scorers' when it's absolute b.s.! These players have spent thousands and thousands of EXTRA hours on the field, smashing shot after shot into the corner of the goal so that it becomes a repetitive motion for them, there is absolutely NOTHING natural about that! These players write their goals down, are organized and are literally obsessed with becoming the absolute best player that they can be. My biggest piece of advice would be to form the habit of training on your own. It's hard sometimes, you will get up and really not want to do it, but its at that moment when you know if you actually REALLY want to be a pro soccer player. Most people want to wake up and train, but when it comes down to it, they just want to sleep in a little bit more! These people will make excuses for the rest of their lives about why they didn't make it, but at the end of the day when they are laying in bed, they know that they alone are responsible for not achieving their goals. It always amazes me that players have all the time in the world to watch garbage TV shows, read trashy celebrity obsessed magazines, and play silly games on their phones, but they can't find an hour everyday to train their weakness' to become strengths? Do not be that player! Be the player who is at team practice early, and leaving late, doing extra, smashing goals and leading by example. We have a saying at Beast Mode Soccer 'Champions Do More,' be a champion! Study. Study everything. Study everyone. Have no ego. I have read over 300 coaching related books, I have a collection of over 200 soccer DVD's and dedicate one hour a day to studying. Whether that be reading, watching a DVD, observing coaching sessions, watching other technical trainers (sometimes that can be a bit tricky!). Try to learn something new every single day. Try to find a mentor, somebody who has been around coaching for a long time and aligns with your methodology and basically act as their apprentice. It really is all about learning and being open to different opinions. A great resource is social media, but it comes with a warning! Do not become an arm chair coach relying on other peoples sessions from the internet, if you do that you are just a robot with no coaching style of your own. Experiment with your own sessions, build up a library and then share your killer sessions with everyone else! WHAT NEXT FOR BEAST MODE SOCCER? Great question! We are currently working on our third training program called 'The Soccer Vortex' which is shaping up really well. I can't really say a lot about it right now, but it will literally change the way players train on their own and look at development, it's very exciting! 2015 will see us add to our nationwide locations (currently Los Angeles, Richmond VA, Portland, Seattle and Utah) and the nationwide launch of the Beast Mode Soccer Level 1 Technical Training Certification. This is an awesome opportunity for soccer trainers to learn exactly how we develop elite level players, and why the top players in the nation can't stop talking about BMS. It's exciting times ahead, but don't think I will ever slow down, you see, we practice what we preach, and I am on a continuous search for excellence and improvement!